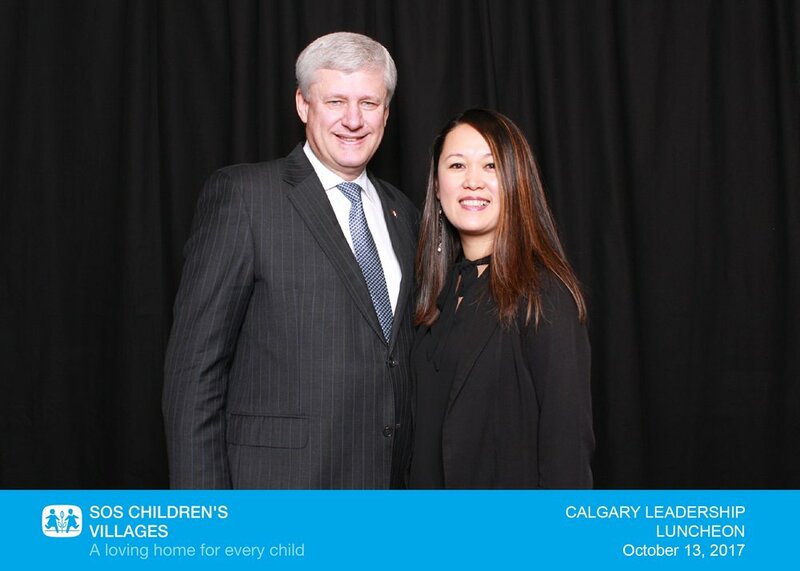 Calgary's Fotomoji photo booth had the pleasure of having former Canadian Prime Minister Stephen Harper in our photo booth last Friday for the Calgary Leadership Luncheon at the Hyatt Regency Hotel. This luncheon event was held in support of the SOS Children's Village's work to meet the needs of the most at-risk children and families in the world. Mr. Harper took the time and chatted with every single person who took a picture in the photo booth with him, asking them their names and what they did. The amazing thing is that he seemed to remember other people who worked with the guests or people they may actually know.